KBR has recently announced that it has been awarded a front-end engineering design (FEED) contract by Emirates National Oil Company Processing Company LLC (EPCL) for the upgrade of its condensate refinery at Jebel Ali. Expected revenue from the contract was included in the first quarter 2014 backlog of unfilled orders for the Hydrocarbons segment. The contract value was not disclosed. Currently, the facility owned by Emirates National Oil Company (ENOC) has two trains of condensate distillation units. The upgrade will add new processing units (jet and diesel hydrotreaters and isomerization unit) and will lead to production of several Euro V grade products such as high octane gasoline, low sulfur jet fuel and ultra-low sulfur diesel. KBR’s work on this facility is consistent with the growing trend of refinery upgrades across the Middle East in an effort to meet the rising domestic fuel demands and more stringent product specifications, according to the Middle East business intelligence site, MEED.com. Technip, in partnership with China HuanQiu Contracting & Engineering Corporation (HQC), has been awarded by Basra Gas Company (BGC*), a front-end engineering design (FEED) contract for Ar Ratawi Natural Gas Liquids (NGL) train1 project at North Rumaila in Basra Province, Iraq. The project is the first of the new greenfield associated gas processing facilities that will significantly minimize gas flaring in Iraq and make more energy resources available for power and domestic use– an NGL train with nominal feed gas capacity of 530 million standard cubic feet per day. The standalone facilities will produce liquefied petroleum gas (LPG), NGL and condensate for domestic markets. The scope of work covers the basic engineering design package of the NGL process units, utilities and the submission of an engineering procurement and construction (EPC) package. Technip’s operating center in Abu Dhabi will execute the project, scheduled to be completed by the end of 2014. (Reuters) Petrofac, the international oil and gas services provider, has been awarded a contract by BP, worth $1.2 billion, for the Khazzan gas project in Oman. The scope of work will include engineering, procurement and construction of the central processing facility (CPF) at the Khazzan field. The CPF will include two process trains, each having a capacity of 525 million standard cubic feet of gas per day, Petrofac said in a statement. The project also includes an associated condensate processing system, power generation plant, water treatment system and all associated utilities and infrastructure. The project is expected to be completed in 2017. The deal for the central processing facility has been awarded on a convertible lump sum basis and will convert to a full lump sum contract at a pre-determined point during execution, Petrofac added. Subramanian Sarma, managing director of Petrofac's Onshore Engineering & Construction business, said: “Petrofac has executed a large number of projects for BP across many aspects of our business and we are delighted to be supporting them on this pioneering project at Khazzan, the largest new upstream project in Oman. In November, Petrofac said a joint venture with South Korea's Daelim Industrial Co had won a $2.1 billion contract for a refinery project from Oman Oil Refineries and Petroleum Industries Company (ORPIC). The three-year contract includes engineering, procurement, construction, start-up and commissioning services at a refinery in the Sohar Industrial Area, 230 kilometres northwest of Muscat. The deal includes improvements at the existing facility and the addition of new refining units, it said. For two decades Endress+Hauser has been represented in the United Arab Emirates (UAE) by the local representative Descon Automation Control Systems. As a commitment to the Middle East region, the Swiss company has now integrated Descon's Endress+Hauser business into its own sales organization. The new Endress+Hauser sales center is equipped with resources for sales, service and project management. The new offices will facilitate Endress+Hauser's pledge to 'support the region, from the region', providing sales and after-sales support best suited to customers' needs and requirements. The Managing Director of Endress+Hauser UAE is Jens Winkelmann. After Qatar (2009) and Saudi Arabia (2012), the Sales Center UAE is now Endress+Hauser's third subsidiary on the Arabian Peninsula. Since 2006, Endress+Hauser's Middle East Support Center in Dubai has ensured additional sales support in the Middle East. Yokogawa Electric Corporation announces that it has received an order from Kawasaki Heavy Industries, Ltd. to supply the control system for an LNG carrier that is being built for the Ichthys LNG project* in Australia. The ship will be the world’s largest Moss-type LNG carrier and will be used for transporting LNG from an onshore LNG processing plant that is being constructed as part of the Ichthys LNG project. The ship is scheduled to enter service by the end of 2016, in time for the completion of the plant. The ship is also the first Moss-type LNG carrier equipped with a dual fuel diesel engine (DFDE), which burns both fuel oil and gas. Yokogawa will deliver the CENTUM® VP integrated production control system for monitoring and controlling the LNG carrier’s LNG tanks and loading/unloading facilities as well as the supply of gas to the DFDE and the supply of power to other driving units. 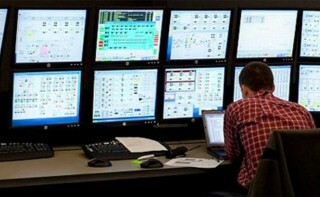 Yokogawa will also be responsible for the engineering and commissioning of the control system. The company has already delivered control systems for other DFDE ships. The company has a global service network, ensuring that vessels can undergo maintenance at any LNG port. Yokogawa won the control systems order for other Ichthys LNG project facilities in 2012. These include the onshore LNG processing plant, offshore production/process facilities, and the floating production, storage and offloading (FPSO) vessel. With this contract, the CENTUM VP system will cover all project facilities, from production to LNG transport. Globally, the construction of many LNG carriers is planned for the transport of LNG from North America, Russia, Africa, and other regions. Backed by this order, Yokogawa will expand its control business for marine resource development facilities, including LNG carriers, FPSO vessels, floating LNG (FLNG) vessels, and floating storage and re-gasification units (FSRU). * This project is being carried out by a joint venture between INPEX (operator), Total, and several other companies. Gas from the Ichthys field, which is located offshore of northwestern Australia, will undergo preliminary processing at sea to remove water and impurities, and extract condensate. The gas will then be transported by undersea pipeline to onshore processing facilities in Darwin. The project is expected to produce 8.4 million tons of LNG and 1.6 million tons of LPG per year, along with approximately 100,000 barrels of condensate per day at peak.